H.H. 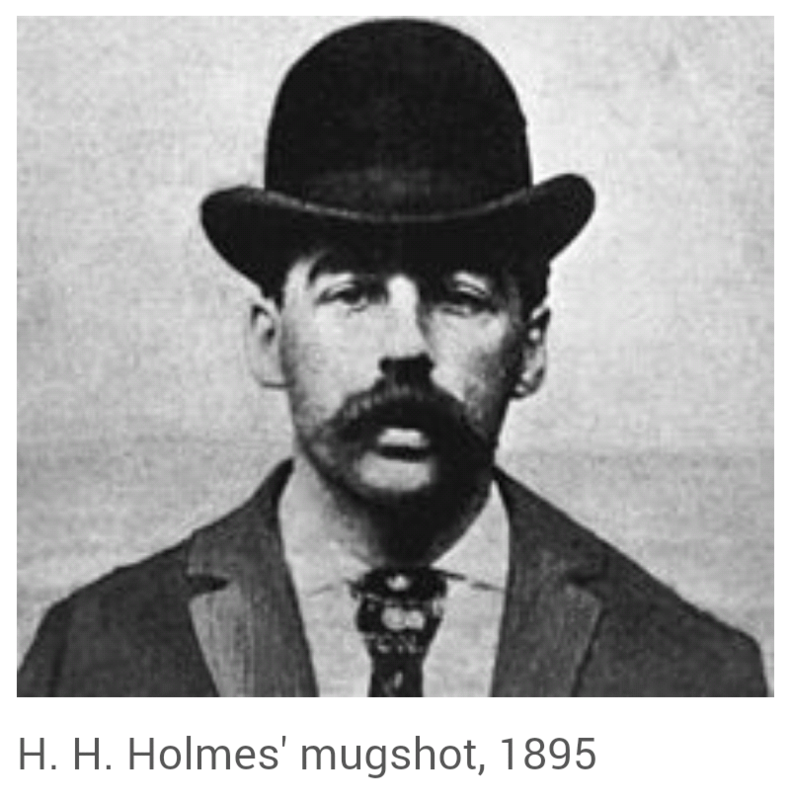 Holmes, the chilling subject of Erik Larson’s best-selling 2003 book, The Devil in the White City: Murder, Magic, and Madness at the Fair That Changed America. The Chicago World's Fair of 1893 and its amazing 'White City' was one of the wonders of the world. 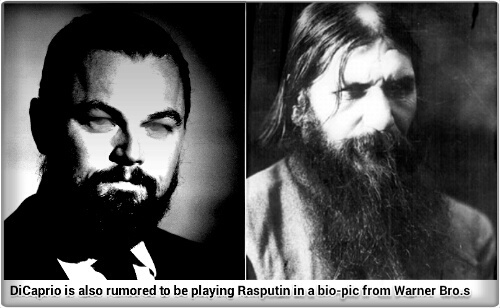 This is the incredible story of its realization, and of the two men whose fates it linked.. The Chicago World’s Fair of 1893 and its amazing ‘White City’ was one of the wonders of the world. 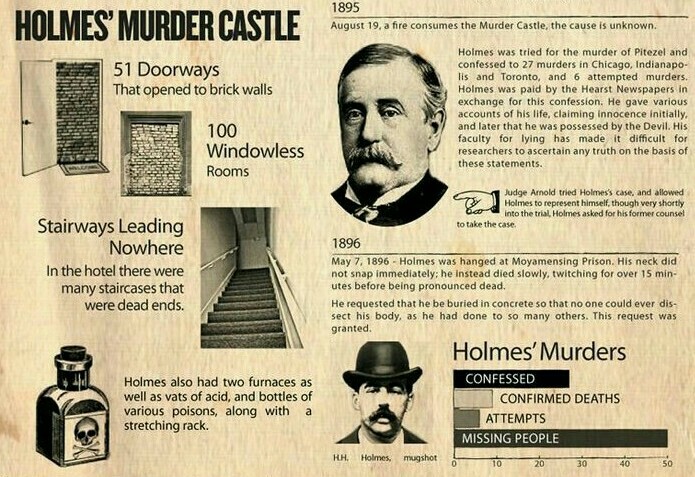 This is the incredible story of its realization, and of the two men whose fates it linked: one was an architect, the other a serial killer. The architect was Daniel H. Burnham, the driving force behind the White City, the massive, visionary landscape of white buildings set in a wonderland of canals and gardens. 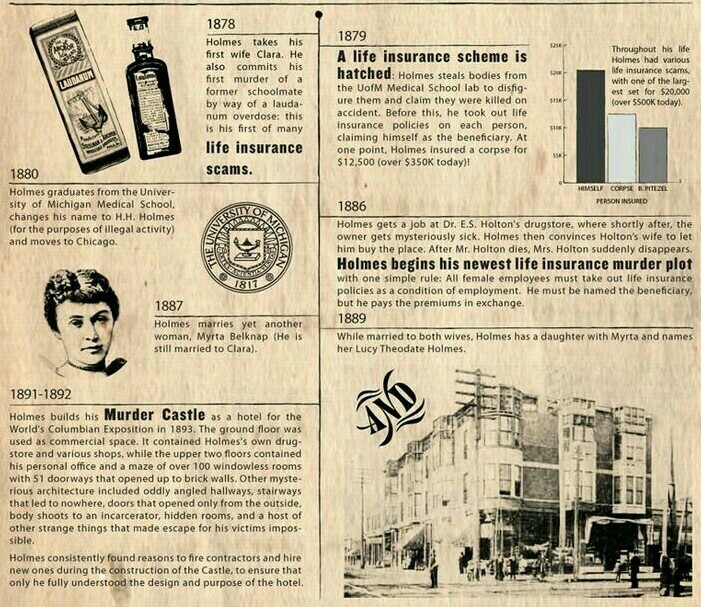 The killer was H. H. Holmes, a handsome doctor with striking blue eyes. He used the attraction of the great fair – and his own devilish charms – to lure scores of young women to their deaths. 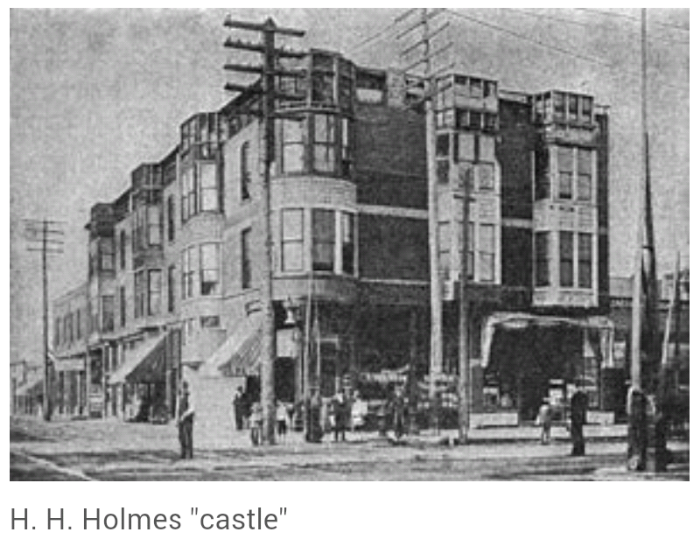 While Burnham overcame politics, infighting, personality clashes and Chicago’s infamous weather to transform the swamps of Jackson Park into the greatest show on Earther, Holmes built his own edifice just west of the fairground. He called it the World’s Fair Hotel. In reality it was a torture palace, a gas chamber, and a crematorium. 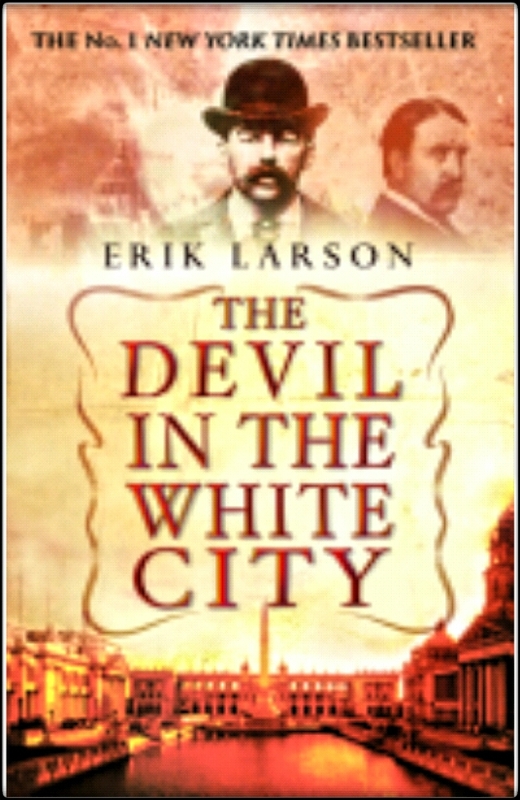 These two desperate, but driven men, together with a remarkable supporting cast of colourful characters such as Buffalo Bill, George Ferris, Thomas Edison and some of the other 27 million people who converged on the dazzling spectacle of the White City, are brought to life in this mesmerizing, murderous tale of the legendary Fair that transformed America and set it on course for the twentieth century. 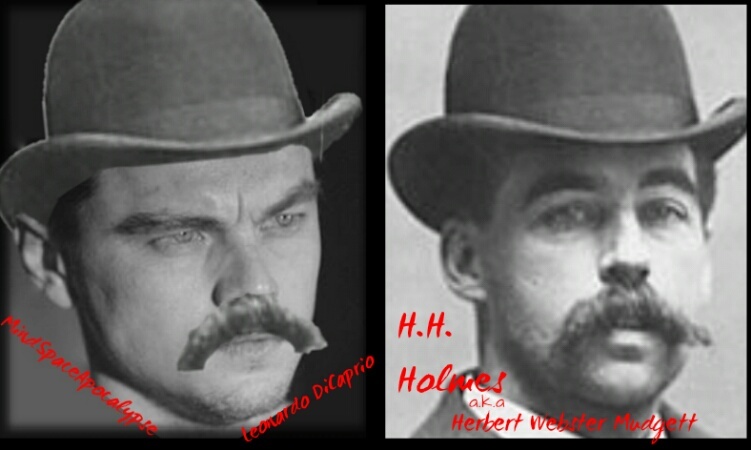 The Wolf of Wall Street, Gangs of New York, The Aviator, The Departed, and Shutter Island. Supposedly, the project has been in development for more than a decade. H.H. 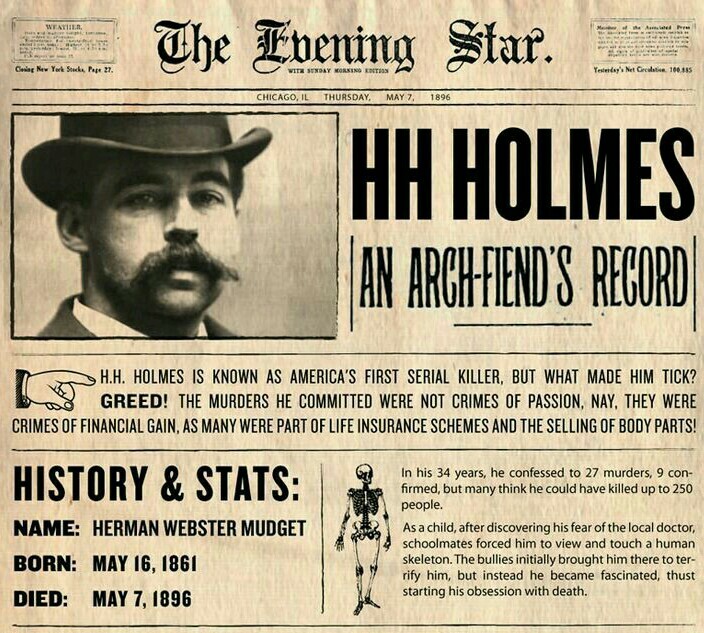 Holmes admitted to killing 27 women in the time surrounding the 1893 World’s Fair in Chicago, but is widely believed to have dispatched closer to 200 victims. 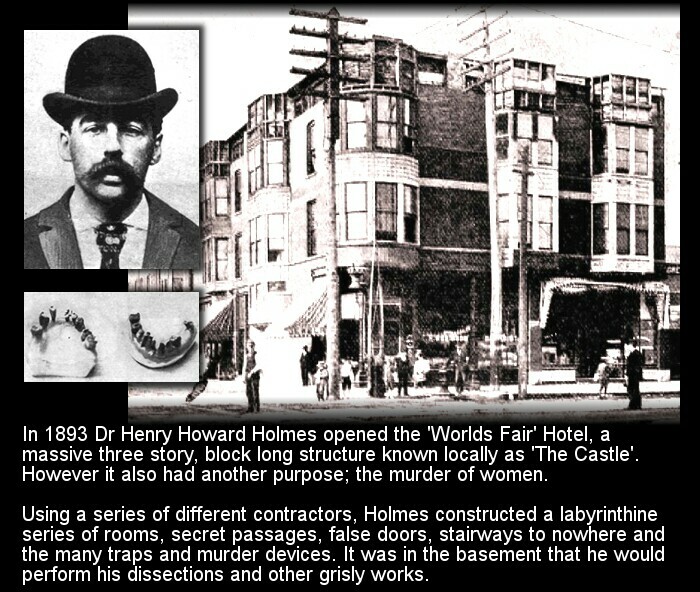 Holmes built himself the perfect murdering machine in the shape of a diabolical hotel since nicknamed the Murder Castle. 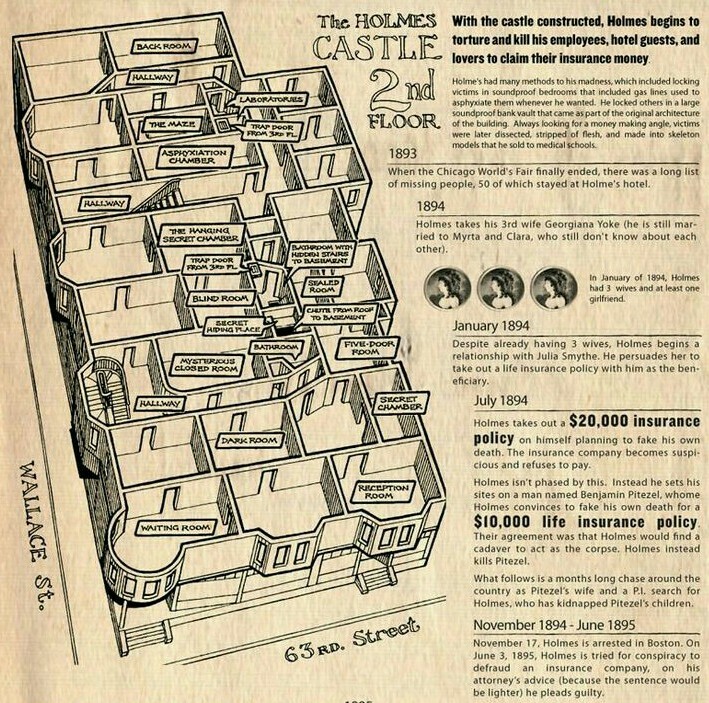 The structure had gas lines that fed into rooms, enormous furnaces, lime and acid pits, and large vaults where Holmes tortured, suffocated, and strangled his victims all while playing the part of a perfect gentlemen. If you thought Scorsese’s Bill the Butcher was bad, you ain’t seen nothing yet. 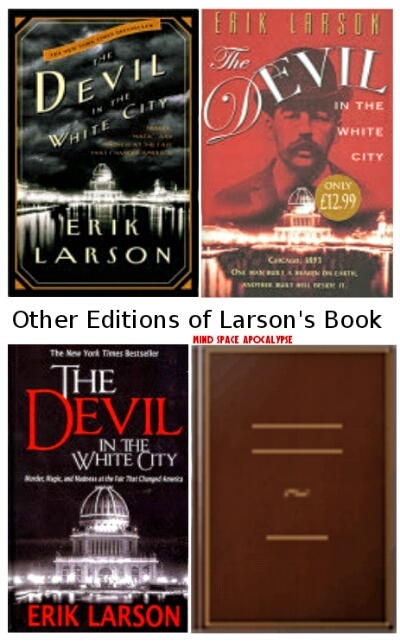 Larson’s book tells the twin narratives of Holmes the serial killer and Daniel H. Burnham the architect behind the Chicago’s World Fair. No word yet on whether the Scorsese film will include Burnham’s story alongside that of Holmes’s, but Scorsese is no stranger to dramatic dual narratives..